Chris Jones & The Night Drivers. Photo by Mary Stoffel on The Old Feed Store Front Porch. How do you follow an album that features three #1 and two #2 bluegrass radio hits? 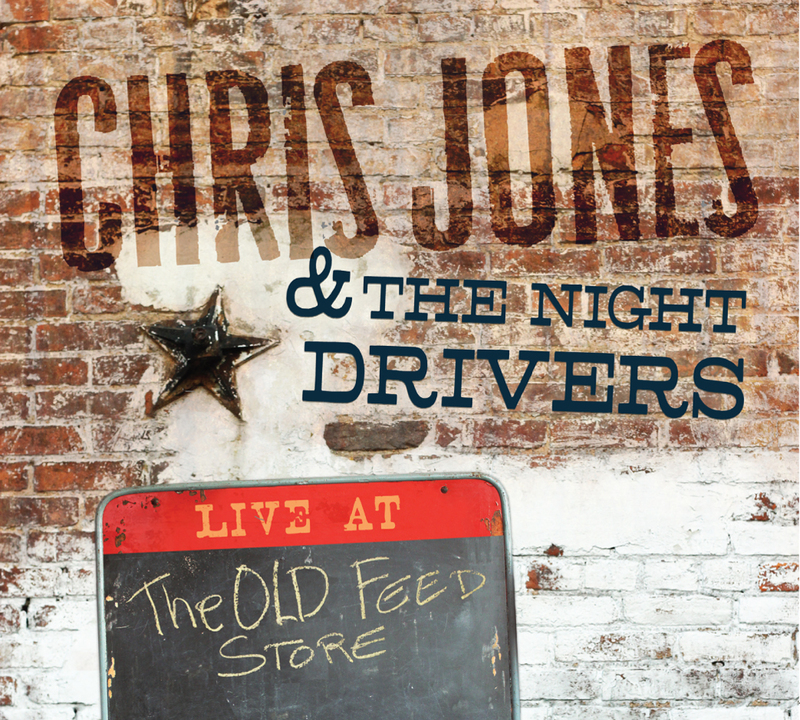 If you’re Chris Jones & The Night Drivers, you give fans what they’ve been asking for—a live album that delivers a few choice new selections nestled among a flock of favorites, recorded in an intimate, small-town venue that brings out the best in the quartet’s soulful vocals, hotshot picking and easygoing humor. 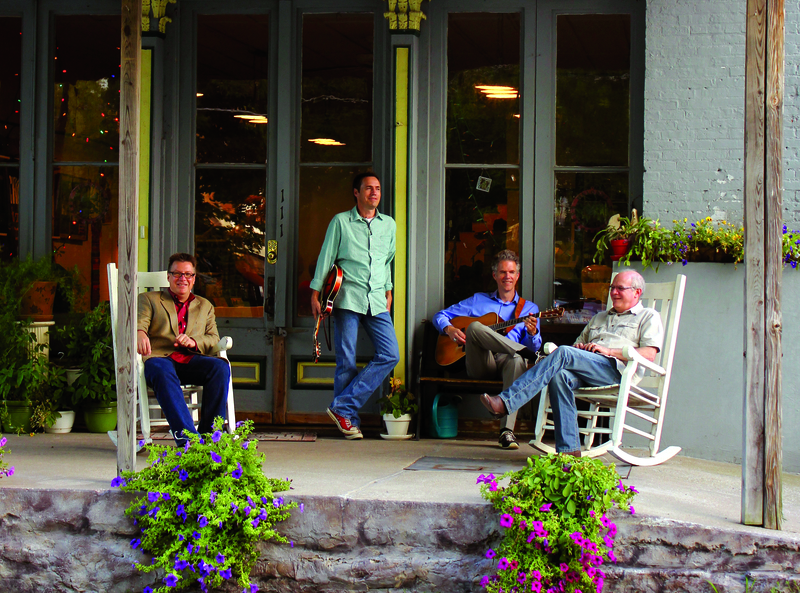 From its blazing opener, “Bound To Ride,” to its even speedier closer, “Pike County Breakdown,” Live At The Old Feed Store, which hits stores on October 7, 2014, is one that long-time fans will treasure, and it’s also a perfect introduction to a group heading toward its 20th anniversary in bluegrass. The live album is a follow-up to 2013’s release Lonely Comes Easy, which was their first all-new collection since 2009’s Cloud Of Dust. Founded by guitarist Chris Jones in 1995, the Night Drivers feature four distinct personalities who bring a multitude of talents to each performance. Indeed, the group boasts three radio personalities who appear regularly on SiriusXM’s Bluegrass Junction—Jones, banjo man Ned Luberecki and bassist Jon Weisberger—and Jones and Weisberger have won acclaim for both musical and industry achievements, with the former earning an IBMA Song of the Year trophy (“Fork In The Road”) and an IBMA Broadcaster of the year award, along with a 2014 nomination for IBMA Print Media Person of the Year. Weisberger’s collected the latter honor, and was the first recipient of the organization’s Songwriter of the Year award in 2012. Luberecki has also been nominated for the Broadcaster honor several times, and has earned additional recognition as a premiere educator, teaching at banjo camps around the world and recently releasing a popular beginning banjo instructional DVD, while mandolinist Mark Stoffel has built a strong reputation as a producer and recording engineer. 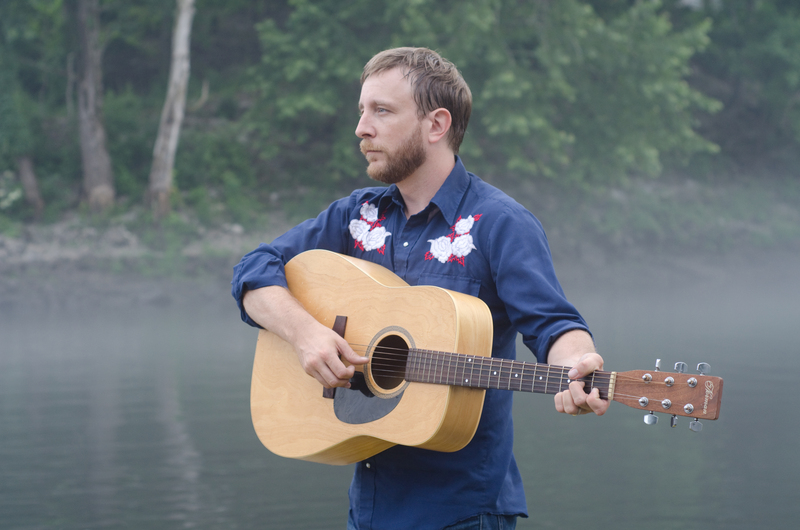 It’s Night Driver music that’s front and center on the new release, exemplified by the first single, “Battle Of The Bands,” which scored a world-exclusive premiere on Bluegrass Junction before dropping on September 23rd. Written by Weisberger, Thomm Jutz and Charley Stefl, the song was first recorded by Jones on The 1861 Project (2011), a collection of new original songs about the Civil War. Based on a true incident, it’s delivered with Jones’ typical warmth, and prominently features Stoffel’s delicate mandolin work. The project displays the group’s wide range of inclinations, with nods to the Stanley Brothers (“Bound To Ride”), Johnny Horton (“I’m Ready If You’re Willin’”) and George Jones (“I Cried Myself Awake”), banjo pyrotechnics (Luberecki’s own “Emergency Pulloff” and a blistering “Pike County Breakdown”) and well-crafted originals (“Like A Hawk,” “Then I Close My Eyes,” “Lonely Town”). A couple of guests make appearances—Sally Jones contributes harmonies to “Follow Your Heart,” and IBMA Momentum Vocalist of the Year Emily Bankester recaps her Lonely Comes Easy appearance on “Then I Close My Eyes”—with the focus all on the Night Drivers, who show conclusively that no studio magic is needed for them to deliver compelling performances. From start to finish, Live At The Old Feed Store delivers a faithful representation of a Chris Jones & The Night Drivers set, and as their busy schedule shows, that’s something that audiences are always eager to share. Countrygaze that’s road trip-ready, Runner of the Woods’ debut album, Thirsty Valley, is set for release in January of 2015 on CD and vinyl. With punchy guitars and odes to wide open spaces, the record is dedicated to the proposition that the key to the good life is time spent in the great outdoors. Beaudoing previously led NYC’s Cajun honky-tonkers, the Doc Marshalls. Over the course of three releases, the band evolved from Bakersfield-style shuffles and Acadian barnburners to jagged, glimmering folk. The pedal steel was still king, but now it blared from a low-watt amp with a brash fuzz tone. In support of an inaugural run of October dates, Runner of the Woods will be touring behind the single, “Good Things will Come.” For Beaudoing, it was an easy choice. “It was the same tune that gave me a lift when my mother was in the hospital. She has since made a near full recovery.” He and his wife are also expecting a son in November. “Nashville wives will let you tour,” he laughs, “even with a due date on the horizon!” To celebrate the debut track, Runner of the Woods released a music video for the song and is offering it as a free download available at: bit.ly/GoodThingsWillCome. Joining Beaudoing (vocals, acoustic & electric guitars) in Runner of the Woods are Jonathan Gregg on pedal steel, Joe Giotta on drums and Vanessa McGowan on bass. In a live setting, the band has the country chops to pack the dance hall floor whenever duty calls. A train shuffle beat or Gary Stewart-style weeper is never far away. But they also love it when people lay back and listen. Either way, you’re going to feel better. For more information and to stay up to date on further news from Runner of the Woods, please visit www.runnerofthewoodsmusic.com, twitter.com/RunnerOTheWoods, and facebook.com/runnerofthewoods. 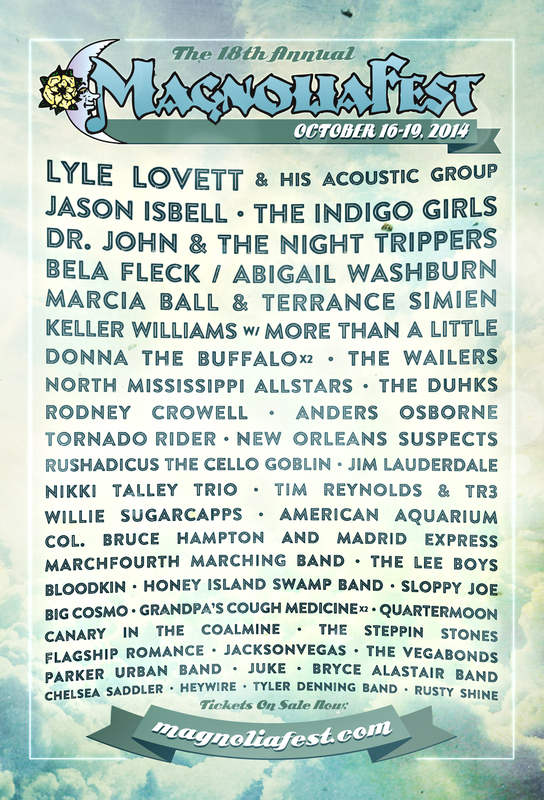 Chatham County Line is currently on tour with Tightrope and will be performing at Steep Canyon Rangers’ Mountain Song Festival this weekend before embarking on the Fall 2014 later in September. The Fall tour kicks off on the East Coast with shows at the Greenfield Lake Amphitheater (Wilmington, NC) and Charleston Music Hall (SC). In early October they perform in their hometown of Raleigh, NC for IBMA’s World of Bluegrass before shows at Neighborhood Theatre (Charlotte, NC) and Terminal West (Atlanta, GA). In mid-October they travel North to Rockwood Music Hall (New York City) and The Parlor Room Northampton, MA. The tour finale is at Brighton Music Hall (Boston, MA). In November Chatham County Line flies overseas for a two week European Tour. As part of the band’s unbridled excitement for year two of IBMA in their hometown of Raleigh, they have made a video for their song “Living in Raleigh Now.” The song will be available September 23rd on all digital platforms and they will have a special Cassette/Download package available at upcoming shows. 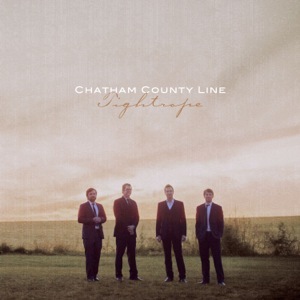 Produced by Wilson and Chatham County Line, Tightrope benefits from an unusually rich, resonant sound that blends each member’s contributions into a powerful, dynamic whole. The poetic insight of the album’s eleven original songs is grounded by Chatham County Line’s ongoing commitment to classic stringband instrumentation. For more information and updates from the road, please visit www.chathamcountyline.com.